Theme: Pat, give me a G, no better make that a double! (an homage to our own Garlic Gal). The letters "GG" are inserted into descriptions or expressions to create a new phrase clued wackily. My second offering from this rabbinical student living in Jerusalem, the first being a January Friday with PE removed from phrases. So we take away, we add, I wonder what is next. I like most of the theme, but not crazy about the middle grid-spanner for reasons listed below. The rest did not seem like a Friday at all with the plethora of 3,4 and 5 letter fill. with the longest non-theme fill 6 letters. Well into the fray, let's see where we come out. 18A. Non-magical "Harry Potter" animal? : MUGGLE DEER. (11). If you somehow missed the entire Harry Potter craze, Muggles are what the magical ones call humans. Mule Deer have big ears and live out west in the US. 23A. Camembert left out in the sun too long? : SAGGY CHEESE. (11). Supposedly the baring of the teeth which comes from enunciating 'Cheese' is where the expression started. Camembert like brie, often sags. 37A. Woman's enticing movements? : FEMININE WIGGLES. (15) A grid spanner, and the odd man out in two ways, as it is the only one with GG added to the second word, and the meaning of the phrase does not change much as wiggling is certainly one of the womanly ways of the world. 52A. Miracle in the mire? : BOGGY WONDER.(11). Boy wonder is used to describe any prodigy, from Mozart to David Steinberg; growing up in New England we all know BOGGS. I like the alliterative clue. 58A. Periodical dedicated to stylish boots? : UGGS WEEKLY. Are UGGS considered stylish, I always thought they were so named because they were ugly but comfortable? They advertise in US Weekly? Weakly? 63A. Best Picture of 1958, and a hint to this puzzle's theme : GIGI. Love Maurice Chevalier, and I have always taken this advice to heart. LISTEN.(1:04). 1. "Poetic" or "Prose" mythological work : EDDA. No Icelandic hint on Friday. 9. R&B singer known for popularizing Auto-Tune : T PAIN. Not only had I not heard of this artist, I had no clue there was such a device infecting modern music. I certainly was interested by the effects on Cher's Believe but I had no clue, even though I have heard the sound again. Jzb, your thought? I really enjoy when a constructor teaches me something I never knew, and I feel rather foolish for missing the whole controversy. LINK. 14. Device for Marner : LOOM. Well George Eliot's Silas Marner will always stick in my mind if only because as a youngster I was fascinated by George being a woman. The literary device of the LOOM can be discussed, but her contribution to Victorian literature in this and others like Middlemarch is only a question only of degree. 15. Orderer's reference : MENU. Orderer, what an awkward sounding word. 16. "In what way?" : HOW SO. 17. Not to mention : ALSO. 20. Shill : PLANT. The audience member placed there to fool the others into thinking they are having a good time, or need to spend money. 22. Serengeti predators : LIONS. Semi clecho, 25D. Serengeti scavenger : HYENA. Finally, 60D. Serengeti prey : GNU. Sums up the region and life. 26. Whammy : HEX. marks the spot? In Liverpool? 29. Cockney location word : ERE. We are not there, we are 'ere. 30. Bean opening? : SOY. 31. Constant flow : STREAM. Are we too early for prostate humor? 36. Inventing middle name : ALVA. Mr. Edison to you. 42. Gulf of __ : ADEN. 44. The Aztecs' Tonatiuh, for one : SUN GOD. Not up on my Aztec deities, but this filled easily. 47. Bert Bobbsey's twin : NAN. 48. Old sports org. with a red, white and blue ball : ABA. American Basketball Association. Home of the incomparable Dr. J., Julius Erving who played at UMass when I was in undergrad and graduate school in UConn. What a player, and the NBA owes the three point shot, slam dunk contest and other changes to the ABA. WATCH. (5:07). 51. Germaphobia may be a symptom of it, for short : OCD. Obsessive Compulsive Disorder. 56. British bishop's headdress : MITRE. A word every crossword solver should know. 57. Target : AIM AT. 64. Japanese comics : MANGA. My kids were very into MANGA and ANIME, I will ask YR to explain more about how they fit in Japanese culture. 65. Kitchenware brand : EKCO. I heard that before. 66. First name in case fiction : ERLE. Stanley Gardner, creator of Perry Mason. 68. Lunkhead : DODO. A shout-out to our own who derives her nickname from her name not a reminder of the extinct bird which was believed to be not very intelligent. 1. Go by : ELAPSE. Where does the time go, we are on the downs already. 2. Almighty __ : DOLLAR. Ah yes, the American Dream. 3. How much to take : DOSAGE. Well after last Sunday, it is nice to see AGE make a comeback. 4. First __ equals : AMONG. An odd sounding phrase from the LATIN to describe the senior member of a group of peers. 5. 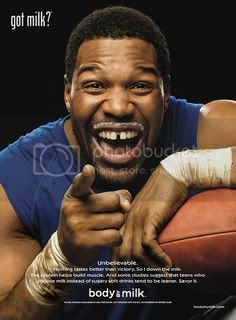 "Dee-lish!" : MMM. Good. 6. Little, in Lille : PEU. Straight French, an accessible one for those who parle un peu. 7. Position, as a pool cue : ANGLE. 8. Bellow title hero March : AUGIE. This was the first of his three National Book Awards; I have read his work and enjoyed them, not equally, but certainly Herzog and Mr. Sammler's Planet have stuck with me. He also won a Pulitzer Prize and a Nobel Prize. However my favorite AUGIE (0:20) who would fit because of the 2 G's. 9. Place to browse : THE NET. 10. Sci-fi vehicles : PODS. The ships or the home of the body snatchers? 12. Expert finish? : ISE. If we complain about ADE as a puzzle answer, how Expertise? 13. Here-there link : NOR. 19. Fan's disappointment : LOSS. 21. 1980s-'90s heavyweight champ : TYSON. Now a media star. UNDISPUTED TRUTH. (3:26). 24. E. follower : COLI. 26. Word after raise or catch : HELL. 27. Place for a nest, perhaps : EAVE. 28. 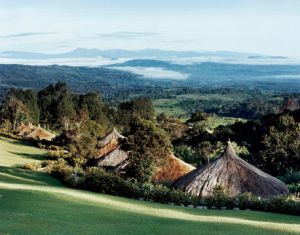 Short holiday? : XMAS. I thinks this is cute; certainly once I saw the answer I thought it was cute. 34. Sun. message : SERmon. Sunday. 35. Strong like string : TWINY. String is not strong, twine is strong string which is doubled up. 37. Burkina __ : FASO. I have never heard of this COUNTRY, let alone know where it is located. Damn you American geography. 38. Cabinet dept. : EDUCation. 39. Heal : MEND. A HEART? (3:00). 40. Part of Caesar's boast : I SAW. VIDI. 41. Italy's largest port : GENOA. No, I did nota noa that. 45. Sci-fi character nicknamed Ben : OBIWAN. Kenobi. Ken, ben? 49. Hunting dog : BEAGLE. Snoopy? 50. 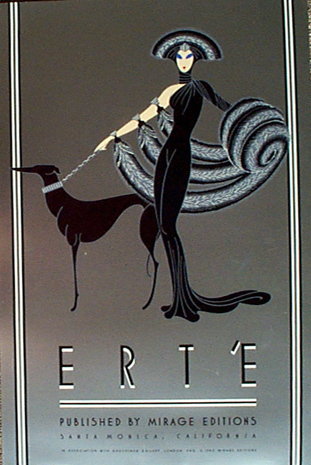 More pretentious : ARTIER. 53. "__ is good" : GREED. Saw the promo a million times. 54. "Wall Street" antagonist who said 53-Down : GEKKO.. Michael Douglas. 55. Spinal Tap guitarist Tufnel : NIGEL. One of many CREATIONS (0:50) of Christopher Guest. 56. Roman Cath. title : MSGR. Monseigneur. 58. Verbal stumbles : UMS. Er, I hope you all got this one. 59. Disparity : GAP. Like this? 61. PC screen type : LCD. Liquid Crystal Display. 62. "__-hoo!" : YOO. Boo-hoo, we are done for another week. Before we go, I wanted to express my condolences to the family and friends of Harold Ramis, who died this week. He brought us ANIMAL HOUSE, GHOSTBUTERS, CADDYSHACK, and GROUNDHOG DAY among many others. Don't cross the streams! Can you believe we are two months into the year already, the Olympics are over, and spring is on the way for all you who choose to live in the frozen north. I am off to my day job, so I will see you all at the beach next time. Lemonade out. Consistent country/money theme, with the money appearing as an anagram and clued appropriately. 17. *Place for a soak in Bangkok? : THAI BATH. "Bhat" is the currency of Thailand. 23. *Mumbai baby food? : INDIAN PUREE. "Rupee" is what the "Slumdog Millionaire" won a ton of. 36. *Low point in Oran? : ALGERIAN NADIR. "Dinar" is only 0.013 US Dollar. 47. *Stance in a Monterrey studio? : MEXICAN POSE. "Peso" is used in Monterrey, Mexico, but also Argentina, Chile, Columbia, Cuba, Dominican Republic, the Philippines and Uruguay. 60. Emergency fund ... or what the second part of each answer to a starred clue ends with? : MAD MONEY. I was totally mystified while solving, because each theme entry seemed so straight-forward. But when I got to the unifier, I became even more mystified. 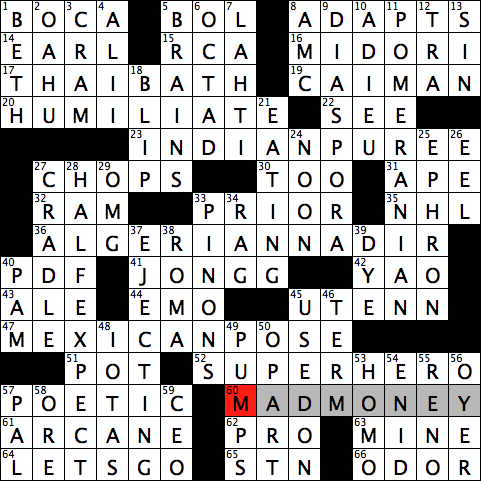 I finally realized that MAD was the hint - it referred to various currencies, all deranged. Aha! The theme entries were noted with an asterisk, because of longer fill going across like HUMILIATE and SUPERHERO; and POMERANIAN and HALF-EXPECT going down - all great entries, BTW. 1. Sunshine State resort : BOCA. Raton. Late-week puzzles don't always indicate "for short." 5. Country in which Quechua is an official lang. : BOL.ivia. They replaced the PESO with the boliviano in 1864. 8. Transforms, as for a different medium : ADAPTS. 14. "Downton Abbey" title : EARL. Bill G., did you finally get to see the season ender? 15. Tablet maker : RCA. 16. Osaka-born violinist : MIDORI. Gotō. At her 1986 Tanglewood performance, she broke three violin strings but didn't miss a beat, and Leonard Bernstein (the conductor) knelt before her in awe when she finished. Worth a listen, here. 22. Holy territory : SEE. From the Latin "sedes" meaning "seat." All sees are holy, but "THE Holy See" refers to the Vatican. 27. Musical ability, in slang : CHOPS. It originally came from a jazz player's ability to hit high notes with their mouth ("chops"), and later referred to any musical ability. 30. As well : TOO. 32. Edward Jones Dome NFL player : RAM. The RAMs now play in St. Louis, after leaving Los Angeles. 33. Rank below abbot : PRIOR. 35. Oilers' org. : NHL. National Hockey League. 40. Sharable PC file : PDF. Portable Document File. 42. 2011 NBA retiree : YAO. Ming, the 7' 6" player for the Houston Rockets. 43. Porter, for one : ALE. 44. Effusive musical genre : EMO. 45. Knoxville sch. : U TENN.
51. Poker haul : POT. 52. Green Lantern or Green Arrow : SUPERHERO. 57. __ license : POETIC. 62. Teacher, at times : PRO. Think golf. 63. Dig for 58-Down : MINE. And 58-Down. See 63-Across : ORE.
64. "We're outta here!" : LET'S GO. 65. Stop: Abbr. : STN. I usually think of the abbr. for "station" as "sta." That is what the US Postal service uses. 66. What the nose knows : ODOR. Fun clue! 2. Vans Triple Crown of Surfing locale : OAHU. No idea, but got it on a WAG. 4. Et __ : ALII. Masculine form. 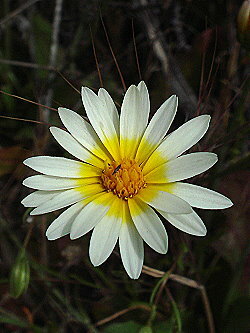 Female = aliae. Neuter = alia. 5. Mastermind : BRAINS. "He's the BRAINS behind the scheme." 6. Pie slices, often : OCTAD. I can't eat that many slices, so cut mine into sextets. 7. "Swing Shift" Oscar nominee : LAHTI. Christine. The film also starred Goldie Hawn and Kurt Russell. 8. Film buff's channel : AMC. Originally, abbr. of "American Movie Classics," but now just AMC because of the shift in emphasis away from classic movies. But you can still get your old movie fix over at TCM (Turner Classic Movies.) I bet HG watches that one. 9. Scattering of an ethnic population : DIASPORA. The most well-known is the Jewish DIASPORA, but there are many others. 10. Continental farewell : ADIEU. 11. 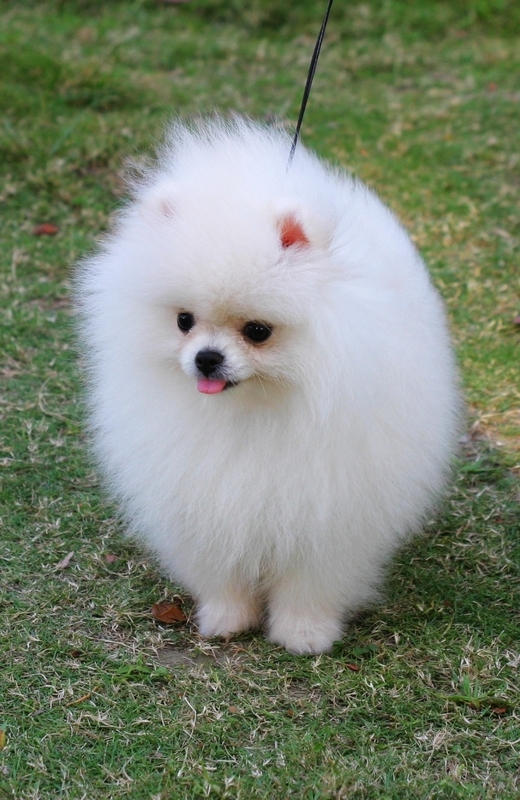 Toy dog breed : POMERANIAN. Like a big fluffy pom-pom! 12. Melodic syllable : TRA…la. 13. Preacher's topic : SIN. 18. Brief upturn : BLIP. 21. Getting down : EATING. 24. It may come before one : NOON. Unless your are talking about 1 AM. 25. "I Feel Bad About My Neck" writer Nora : EPHRON. The title is a reference to her aging, wrinkled neck - the one part of the body that cannot be "re-surfaced" with plastic surgery. 26. Long swimmer : EEL. 27. Carry protectively : CRADLE. I wondered about coddle, then cuddle before CRADLE appeared with perps. 28. Anticipate uncertainly : HALF EXPECT. 29. Bit of shocked text : OMG. "Oh, my god!" 33. Evergreens with edible nuts : PINONS. 34. Lurid paper : RAG. 37. Escaping à la James Bond, perhaps : EJECTING. 38. Ovoid tomato : ROMA. 39. Microscope slide additive : DYE. This clue was right in my wheelhouse, but I still entered "oil" at first! 40. Nonstick brand : PAM. 45. Applied to : USED ON. 46. Time between inaugurations : TERM. 48. Little bits : IOTAS. 49. Inflation causes : PUMPS. Gas prices are creeping up again, but this refers to the pumps that actually inflate things like tires, beach balls or air mattresses. 53. __ erectus : HOMO. "Upright man" in Latin, he lived about 143,000 years ago. 54. Oklahoma city : ENID. 4 letter Oklahoma city? ENID. 5 letter Oklahoma city? Tulsa! 55. Attorney general after Barr : RENO. William and Janet. 56. __ and terminer: criminal court : OYER. "To hear and determine" in law. Gimme for Lemonade. 59. Business VIP : CEO. Chief Executive Officer. Rich themage, and tight construction, as all of the WOLF's entries are the first words of two word answers (or first part of a compound word), hugging the left margin, and our heroine's entries are the second words of two word answers, hugging the right margin. Note also that from top to bottom, our antagonist's and protagonist's answers alternate. Unusual placement for some theme entries, along with a short letter-count for some of them makes this a bit hard to suss; but high marks for creativity in executing this difficult and original theme. Add in perfect alternating symmetry between the two answer types, and we have a very elegant execution. 26. Head honcho : BIG CHEESE. Slang for top dog. 42. Unsavory sort : BAD EGG. Can one spoil the whole crate? 53. Borzois, e.g. : WOLFHOUNDS. Top dog? 20. Impressionist whom Mel Blanc labeled "The Man of a Thousand Voices" : RICH LITTLE. I found an example that's not political. 35. Show shame, perhaps : GET RED. Blushing, when you can't suss the theme. 48. Driving with abandon : JOYRIDING. An automotive pleasure cruise. Couldn't find an appropriate clip. 63. Prominent Ore. peak : MT. HOOD. A stratovolcano in the Cascade Volcanic Arc of northern Oregon, formed by a subduction zone on the Pacific coast. It's last major eruptive period was about 200 years ago. Note abrv. in cl. & ans. Hi Gang, JzB here. Let's grab our borzoi and see if we can make our way through this forest without getting lost or consumed. But first, today's theme song. 1. McCarthy's dummy friend : SNERD. Edgar Bergen's pals Charlie and Mortimer. Here they are with a LITTLE-free impersonation. 6. Baltic, e.g. : SEA. Water you talkin' about? 9. Cougar : PUMA. Mountain lion, not that other kind. 13. Canadian dollar coin nickname : LOONIE. Named for the loon on the reverse of its dohller coin. 15. Computer operating system : UNIX. Apple's OS X is a variant. 18. Medicinal dose : PILL. Alternative to a spoonfull. 19. Cutie pie : DOLL. Like Nancy Wilson. 23. Baltic feeder : ODER. Does this river smell funny? 25. "... a __ / By any other name ..." : ROSE. Would still be surrounded by thorns. 30. Tolkien's talking trees : ENTS. They aren't actually trees. They just look like them. But not in this forest. 33. Equal: Pref. : ISO. -bar, -metric, -tonic, -mer, etc. 34. 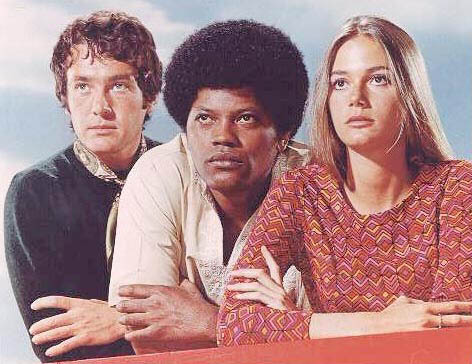 "The Mod Squad" cop : LINC. He's the man in the middle. 39. 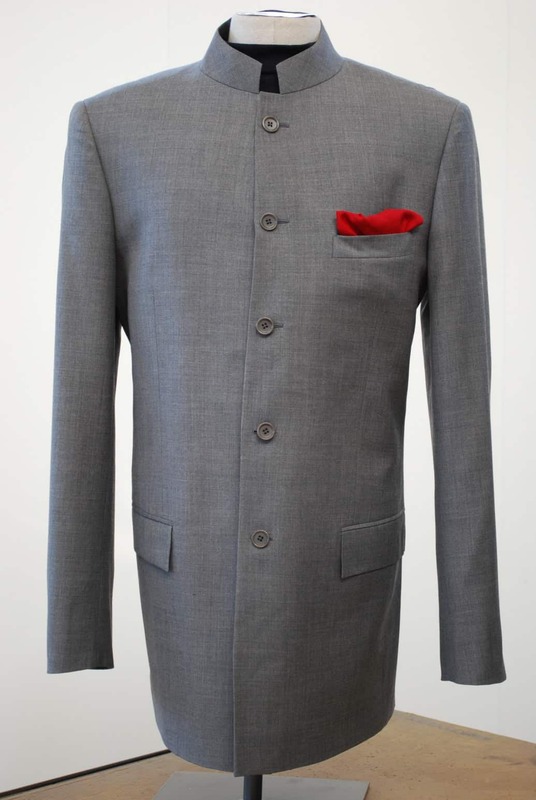 '60s jacket style : NEHRU. 44. Respectful address : MA'AM. 46. From, in some European names : VON. Like the von Trapp family. 47. Star witnesses? : MAGI. Clever. They followed yonder star. 50. Hispaniola, por ejemplo : ISLA. Spanish island, for example. 52. Poet __ St. Vincent Millay : EDNA. Famous for her poetry and many love affairs. 57. Gratify : SATE. Like a basket of goodies, perhaps. 61. Put out : EMIT. 65. Wither in the sun : BAKE. 66. Porter's "__ De-Lovely" : IT'S. Like this DOLL. 68. Raised : BRED. Like a Borzoi. 69. Look at : EYE. Ogle the DOLLS. 70. Super Bowl XLVII player : NINER. San Francisco Forty-Niner. They lost to the Baltimore Ravens, 34-31. 1. Area below Greenwich Village : SOHO. Lower Manhattan area South of Houston St.
2. Sleigh ride song : NOEL. Here we go a-caroling. 3. As a whole : EN BLOC. I'll bet you have never said this in casual conversation. 4. Kid : RIB. Like an elbow poke there. 5. Making pronouncements : DECREEING. 6. A writer may work on it : SPEC. Speculation - writing a piece without a contract, in the hope of selling it. 7. Trick-taking card game : EUCHRE. Pronounced Yooker. 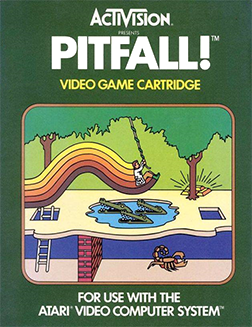 Popular game in Michigan, Ohio, Illinois and Wisconsin. People from other parts of the country might never have heard of it. 8. Prefix meaning "English" : ANGLO. 9. Portable shelters : PUP TENTS. For your young borzoi. 10. Curriculum part : UNIT. 11. Grain grinder : MILL. 12. Rod in a hot rod : AXLE. Keeps the wheels from falling off. 13. Letters on some Brit. letterheads : LTD. For Private Limited Liability Corporation. Its shares may not be sold to the public. 21. Dancer Castle : IRENE. She and her husband Vernon were the best known ballroom dancers of the early 20th century, and appeared in films and musicals. 22. Oracle's opening : I SEE. Did you see this coming? 24. UPS competitor : DHL. Shipping, transport, and import-export services company. 26. Lettuce variety : BIBB. A type of head lettuce with a loose arrangement of leaves, known for its sweet flavor and tender texture. 27. Imam's faith : ISLAM. 28. Fondue choice : GOUDA. A Big Cheese! 29. Knucklehead : SCHMO. Typical Yiddish insult beginning with SCH-. Originally an idiot or cuckold. 31. "Three Coins ..." fountain : TREVI. In Rome. 35. Reserve soldier : GUARDSMAN. This took a lot of perp help. 38. Put a bad present to good use : RE-GIFTED. If "put to good use" means "got rid of." 40. Like daisies : RAYED. 43. Lillian of the silver screen : GISH. Her movie career spanned 1912 to 1987. 45. Musical key abbr. : MIN. Minor. Here's an example from a major composer. Note the shift into major from 1:43 to 1:57 in this 3 minute clip. 48. Smart-looking : JAUNTY. Sometimes, I'm dumb looking, like when I can't suss the theme. 49. Enter quickly : DASH IN. 53. 5'7" Spud who won the 1986 NBA Slam Dunk contest : WEBB. At 5'7", he's one of the shortest players in NBA history. His career lasted from 1985 to '98. 54. "Rubáiyát" poet : OMAR. Per Wikipedia, Ghiyāth ad-Dīn Abu'l-Fatḥ ʿUmar ibn Ibrāhīm al-Khayyām Nīshāpūrī was a Persian polymath, philosopher, mathematician, astronomer and poet. He also wrote treatises on mechanics, geography, mineralogy, music, and Islamic theology. Busy guy. 56. Bouquet : NOSE. Aroma. 58. Top-of-the-line : A-ONE. Better than A-minus. 59. Visit with a guide : TOUR. Like this guided tour through the forest. 60. Money mgrs.? : EDS. Money Magazine Editors. Sneaky. 64. Texter's "I didn't need to know that!" : TMI. Too Much Information. The theme was a tough nut to crack, and the long down fill further complicated the matter. But still, a well-constructed, fun solve. Hope you enjoyed it. Jeff Chen, of course, is a wily veteran who showed up in a collaboration when I last blogged two weeks ago. Looks like this might be Bryan Young's first L.A.T. entry. Theme: R&DXTOO - Not Research and Development but 2(too) R's in the first word and 2(too) D's in the second word. 22A. "Curb Your Enthusiasm" creator : LARRY DAVID. This guy. Argyle here. Anchored by a grid spanner and some interesting fill; a decent Tuesday. 1. Lunchbox staple, initially : PBJ. Travels better than BLT. 15. Tablecloth fabric : LINEN. Who had to get up because "We need the sheets for the table"? 21. "Wake Up Little Susie" singer Don or Phil : EVERLY. Phil passed away in January. 31. 1983 Streisand film : "YENTL"
50. "Beat it, kid!" : "GO HOME!" 53. "I'm serious!" : "NO, REALLY!". Cute string. 9. Caltech grad, often: Abbr. : ENGR. 11. Race nickname : INDY. (Indianapoli) Big racing news: Dale Earnhardt Jr. wins Daytona 500! 20. Suave shelfmate : PRELL. Hair care. 23. "So true!" : "AMEN!" 34. Cry from a flock : [BAA!]. A bit down on the farm today. 47D. "Here, piggies!" : "SOOEY!" 48. "It's open!" : "ENTER!" Theme: "Are You Ready to Par-tay?" - Party, party, me hearties. A different party can be found aft of both words in the starred entries. 20A. 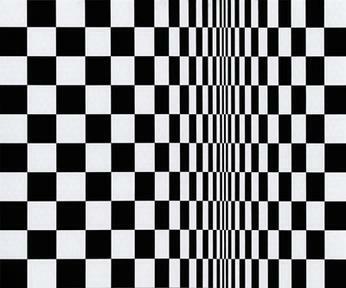 *Powerful stratum of society : RULING CLASS. Ruling party; Class party, mostly for the younger grades. 58A. *When brandy may be served : AFTER DINNER. After party, think Oscars, Emmys; Dinner party. 35D. *Place for changing out of a wet suit : POOL HOUSE. Pool party; House party, at Dudley's. Argyle here. A pin wheel grid around a central unifier. Strong blocks around the outside and some interesting fill for a Monday. Ms. Miller has come through again although something is lacking. 1. To-do list item : TASK. Not any particular task. 39. Game with Wild Draw Four cards : UNO. Most kids love it. 49. Anjou, e.g. : PEAR. A firm-fleshed green-skinned variety of pear. Also, red-skinned. 52. Rinsed the soap from, as a car : HOSED. Or, rinsed the salt from. 62. __ and crossbones : SKULL. We hear about Eli's and Bulldogs but the Skull and Bones Society at Yale...not so much. 1. Glum drops : TEARS. An original clue? I like it. 4. Large Alaskan bears : KODIAKs. Out for a family stroll. See JD's from yesterday. Did you notice what's missing? Foreign words! Theme: "Age Isn't Everything" - AGE is removed from each familiar phrase. 25A. Plight when the caterer cancels? : HOST CRISIS. Hostage crisis. 27A. Kit with a parachute? : BAILOUT PACK. Bailout package. 45A. River project evaluation? : DAM ASSESSMENT. Damage assessment. 82A. Psychiatrist who falls asleep during sessions? : SHRINK PROBLEM. Shrinkage problem. 97A. Pedicured tootsy on a video-sharing website? : YOUTUBE FOOT. YouTube footage. 103A. Course for new cattle farmers? : STEER CLASS. Steerage class. 35D. Scenes of Oscar Madison's room? : RECORDED MESS. Recorded message. 40D. Cleaning out a clothes closet? : GARB DISPOSAL. Garbage disposal. I normally don't touch letter addition/deletion/altercation theme type as I'm awful making sense of those wacky phrases. I do know, however, it's harder to delete than to add. Have you all read this article about our 100-year-old constructor Bernice Gordon? Very nicely written. Scroll down a bit: "...Bernice's themes and puzzles are almost always straightforward, not at all gimmicky or tricky," said Rich Norris, puzzle editor at the Los Angeles Times. "Yet there's an elegance in her simplicity. She finds relationships among words that are so obvious when you first see them that you wonder why you've never seen this before." I thought of Gail when I read Rich's comment. She's not going to shock and awe you, but there's an elegance & beauty in Gail's simplicity, often the result of hard work. 19. Hokkaido native : AINU. 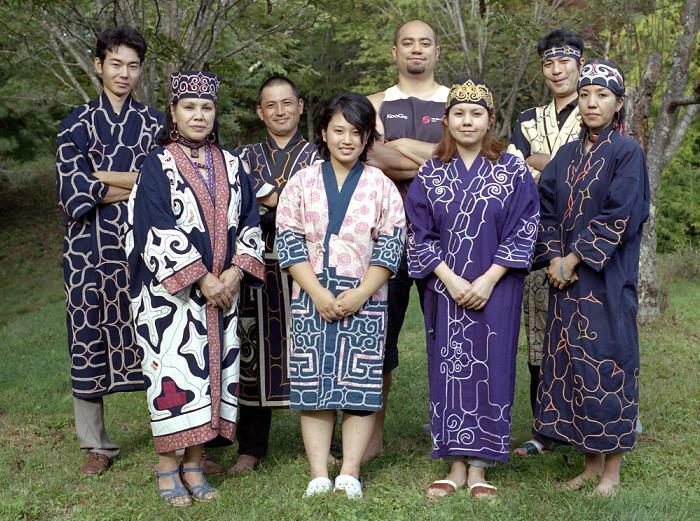 Here they're in their traditional Ainu dress. 21. Make a point : SCORE. Nice clue. 24. Down East university town : ORONO. University of Maine. 34. Words on jackets : BLURBS. So I read "What Falls Away". I guess we all have a cross to bear. 44. Spat end : ULA. Spatula. And 75A. Front end? : IER. Frontier. 63D. Super finish? : IOR. Superior. Necessary evils. 49. Round fig. : CIR. OK, circle. 52. 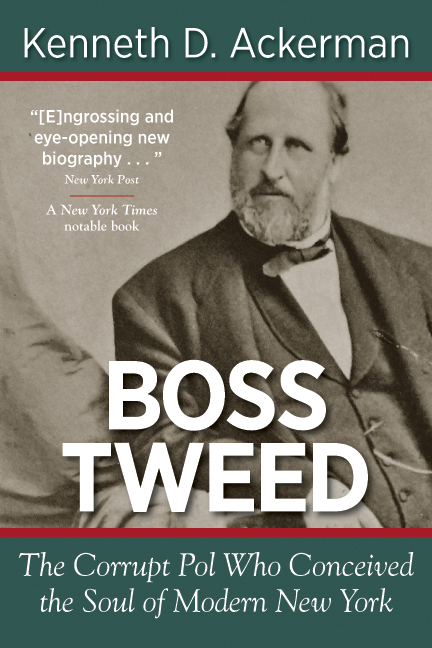 Boss of Tammany Hall : TWEED. Was he as important as this book suggests? 55. Rare indication? : RED. Meat. 60. Rickman role in Harry Potter films : SNAPE. He was in "Love Actually" also. 66. Tapered-top piece : BISHOP. I don't get this clue. What is "Tapered-top"? 74. Shooting Starr : BELLE. I only know Annie Oakley. 79. Broadway designer's jobs : STAGE SETS. Nice fill. 86. Santa portrayer in "Elf" : ED ASNER. Super crossword-friendly name. 88. Woman "in my dreams," in song : IRENE. Oh, "Goodnight, Irene". 110. Arena for MacArthur : KOREA. Korea War is heavily covered in Chinese history books. 116. Seeing things : EYES. Indeed, eyes see things. Great clue. 6. New York and Los Angeles : PORTS. Where the Saturday Stud & Monarch Steve I of Studio City live. 14. Strip around a collar : NECKBAND. Never wore one. 33. Quit worrying : REST EASY. Sometimes you just can't. 38. 2001 British Open winner David : DUVAL. His only major. He always seems so distant. Probably the sunglasses. 39. 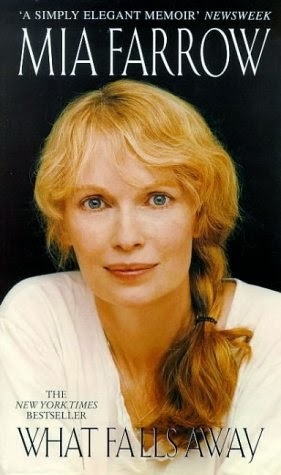 Jazz singer Adams who collaborated with Tears for Fears : OLETA. Nope. No memory of her. 42. Like many auction items : USED. Argyle likes to visit those auction events. 48. Internet __: fast-spreading item : MEME. I don't find those Ryan Gosling "Hey Girl" meme funny. You? 53. Spicy pods : CHILIES. I imagine Lucina puts chiles in everything she cooks. How about you, spicy or mild? 60. Mukluk material : SEALSKIN. See here. 67. "I suppose that's okay" : IT'LL DO. Very good. 72. Fussy twosome? : ESSES. Two letter S in "Fussy". 74. Mystery writer Nevada : BARR. Needed crossing help. 78. Waterfront area : THE DOCKS. Pricey area. 93. First name in nature photography : ANSEL (Adams). Or John (Lampkin). 100. Big name in skin care : OLAY. Discovered Simple last year. Love their toner. "My branch of the family is not known for longevity, so it will be an enormous leap for me to reach 75 this coming Sunday--Feb 23 at 7:19 pm PST! At that day/time I will be two years older than any recorded Fowler (of the Shryvenham to London to NY to CT to TN to CA tribe of Fowlers) ever got to be. My mom (actually a Hocking) reached 73, and my dad's grandfather hit that number too. while a great many folk live much longer, it just feels mighty strange to me, like teetering on a very high pole, or maybe soloing for the first time, and very slowly." Also, don't miss the Friday night Cru Dinner. Marti can tell you how friendly Mike Alpern is.